After one of the most successful launches in recent history with the Galaxy S8, Samsung is back again. 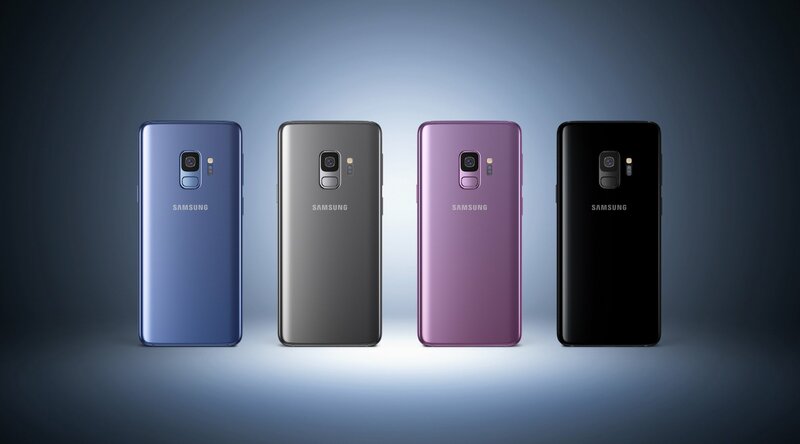 Today at Mobile World Congress 2018, Samsung officially debuted the Galaxy S9 and Galaxy S9 Plus to eager fans and tech press. How do the devices differ from last year’s models? Let’s take a look. Samsung appears to be embracing Apple’s iPhone strategy. Apple releases two devices with very small, yet meaningful differences. Samsung previously released two devices that were basically identical except for screen size. That’s all changing this year with the Galaxy S9 and Galaxy S9 Plus. 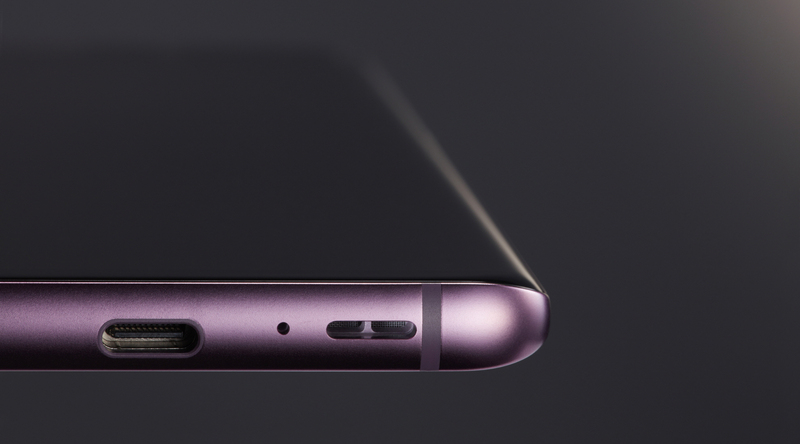 The Galaxy S9 will come with 4 GB of RAM and a 5.8-inch display. It’ll also feature a single 12 MP camera. However, the Galaxy S9 Plus will feature 6 GB of RAM, a larger 6.2-inch display, and a dual camera setup. The cameras on the S9 Plus are a Dual Pixel 12 MP sensor with a dual f/1.5 and f/2.4 apertures. Owners will get a 12 MP wide-angle lens and a 12 MP telephoto lens. The devices will also be slightly smaller than last year’s models. Samsung was able to shave off a little more than 1 mm by reducing the top and bottom bezels on both devices. Samsung stated that the Galaxy S8 and S8 Plus had one of the most popular designs in company history, so why try to fix something that isn’t broke, right? In addition to making the devices smaller, Samsung also finally moved the fingerprint scanner. One of the most frustrating aspects of the Galaxy S8, Galaxy S8 Plus, and Note 8 was the placement of the fingerprint scanner. Too high up the phone and too close to the camera, it was almost impossible to reliably hit the scanner. Now, Samsung has finally moved it under the camera to a more sane position. One of the biggest changes to the devices this year is in the camera technology. Samsung is using a new technology to mimic how the human eye processes light. 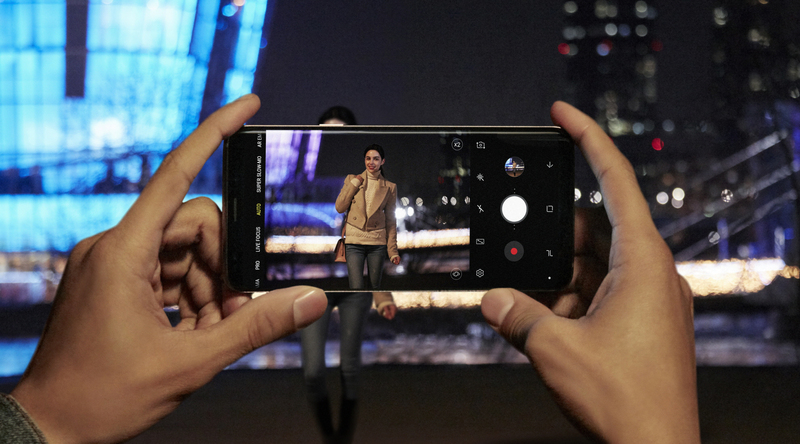 When in a bright environment, the Galaxy S9 will use a f/2.4 aperture and let in less light. In lower light situation, it’ll flip over to a wider f/1.5 aperture and let in more light. This should result in more true to life shots. 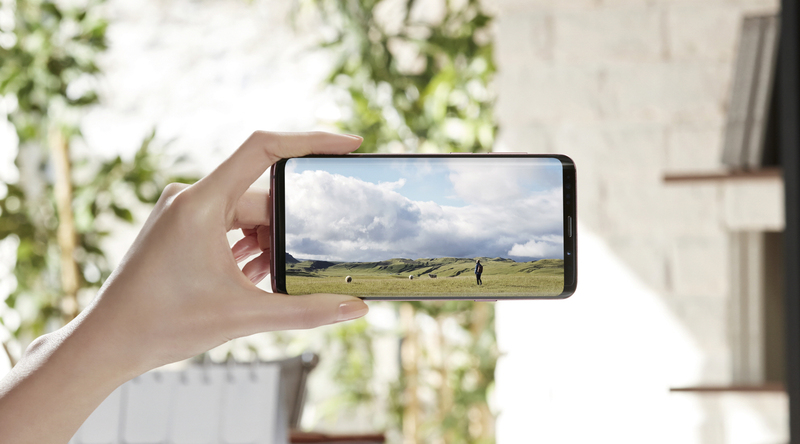 Samsung has also included a new Image Sensor Processor in the Galaxy S9 and Galaxy S9 Plus that aims to help bring down the noise in your shots. The device will process pictures in groups multiple times until it comes up with it thinks is the best photo. The process happens in the background so you can continue snapping shots or using other functions on your device. The new ISP also means that the devices can shoot in super slow-mo. This has been rumored for awile now, but now we’re finally getting confirmation. The Galaxy S9 and Galaxy S9 Plus will be able to shoot at 960 fps at 720p resolution. The devices have an automatic slow-mo feature so you never have to toggle it on. As long as you’re shooting video, the camera is also capturing it in super slow-mo mode so you can go back and see it later. In addition to a better camera, the Galaxy S9 and S9 Plus will also have an improved speaker setup. For years, Samsung has only had a bottom firing speaker on its flagships. It sounded okay but certainly not great. Now, Samsung is upping its game and using a dual buttom + front facing speaker. The headset earpiece will act as a second speaker. Samsung says the speakers are 1.4 times louder than the speakers on the S8 and S8 Plus. So, when can you get them? Pretty soon, actually. Pre-orders will start March 2 and the phones hit stores on March 16. Samsung is hosting a pre-order promotion called Trade Up and Save where customers can trade in their old devices for credit toward a new Galaxy S9 or S9 Plus. Flagships that are a year old and newer, you can expect to get about $350 toward your new device. 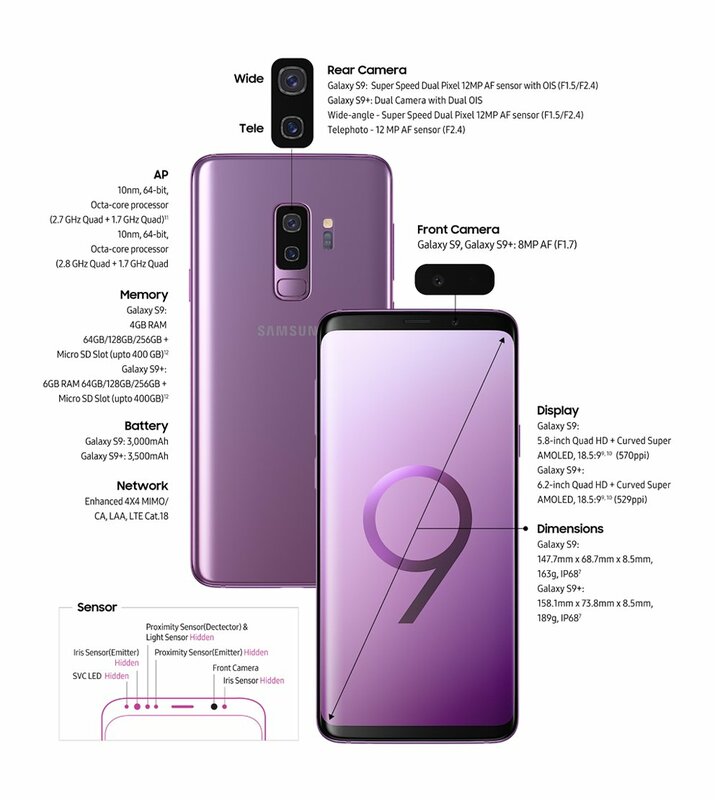 The offer is available to customers switching to the Galaxy S9 or S9 Plus from non-Samsung flagships. What do you think of the Galaxy S9 and Galaxy S9 Plus? Let us know down in the comments.